We were awarded an in-kind grant from Google to run $10,000 worth of ads per month on their search results pages, to promote our website and our mission to bring public records back to the public. 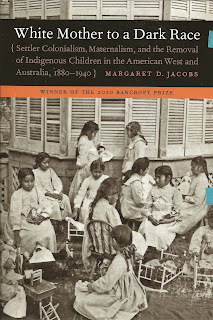 Jacobs’s previous work, White Mother to a Dark Race: Settler Colonialism, Maternalism, and the Removal of Indigenous Children in the American West and Australia, 1880-1940, is a massive scholarly tome. 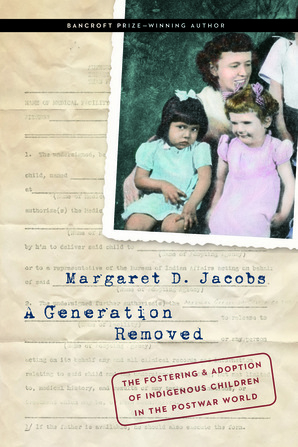 I drew on this work for my keynote remarks to the 2013 KAAN (Korean American Adoptee Adoptive Family Network) conference and at AAC (American Adoption Congress) 2014. White Mother to a Dark Race is a valuable resource, particularly for researchers with an interest in the origins of public school teaching and the social work profession. Having said that, White Mother is quite weighty and not nearly as accessible to lay readers as her latest book, A Generation Removed. Jacobs’s new book provides highly personal accounts that help readers to make sense of the social reform experiments in Indian child welfare and education from the perspective of the Native women who lost their children in the process.